Whether you are using a DSLR camera or a smart phone camera, light is always key to creating beautiful photos of your food. 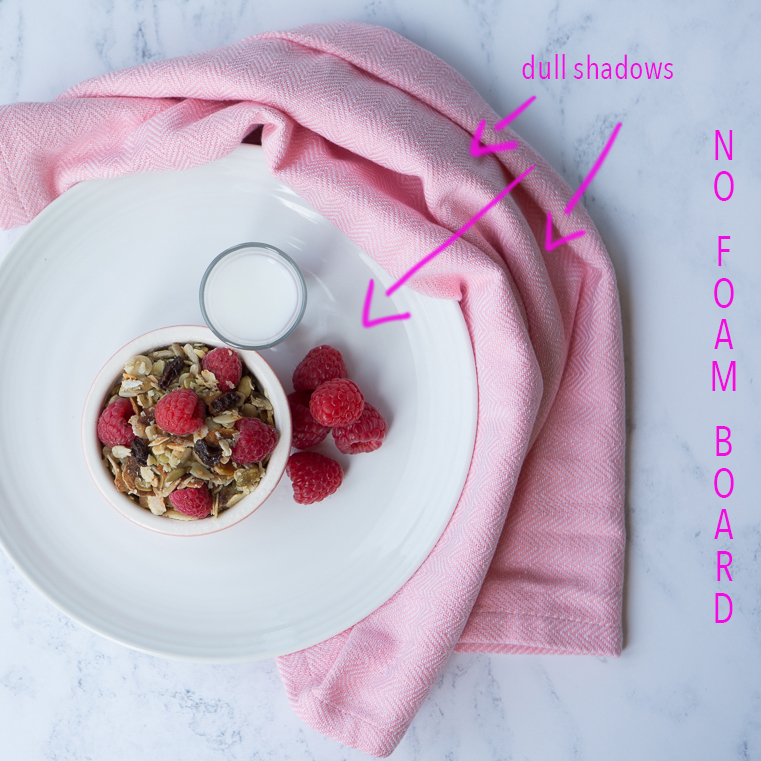 Always shoot your food photos using natural daylight. 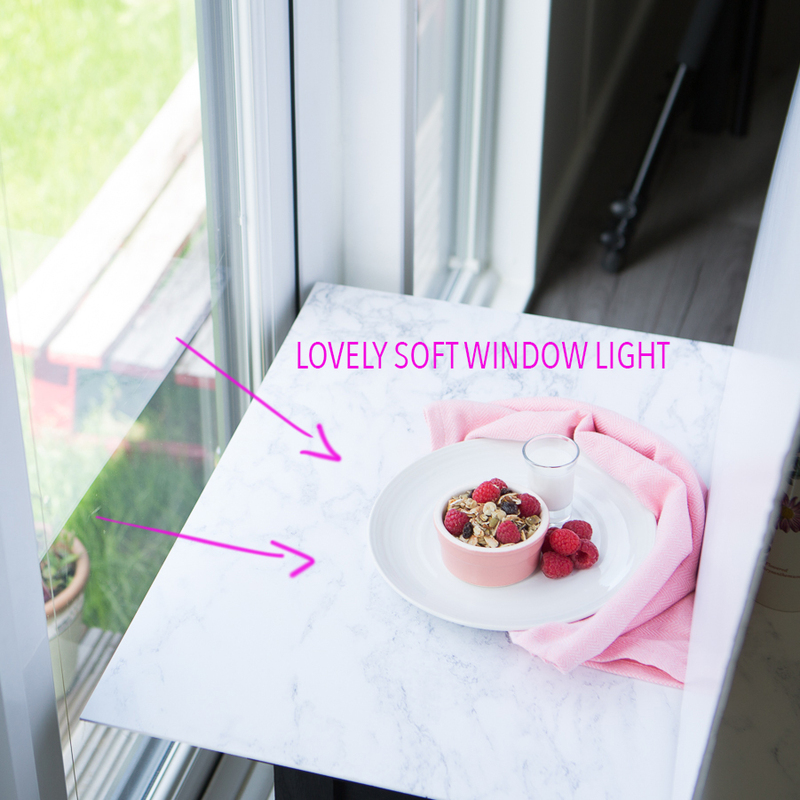 The best scenario is to position your table near a window where there is soft daylight only. 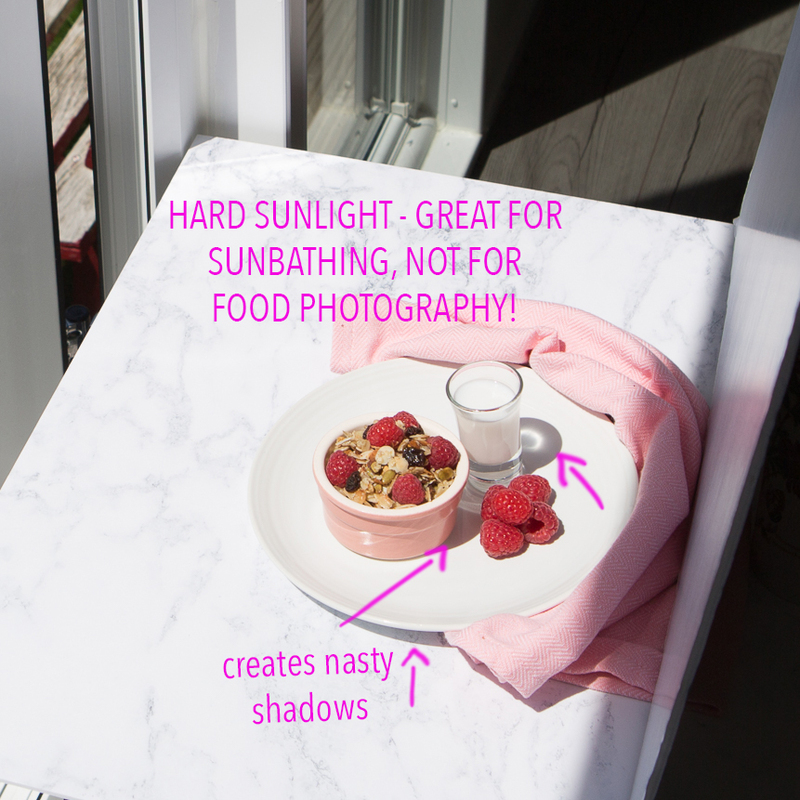 You don’t want direct, hard sunlight on your food because that never looks good. Overcast days are perfect for food photography because the clouds act as a giant diffuser, creating soft light with more subtle shadows. 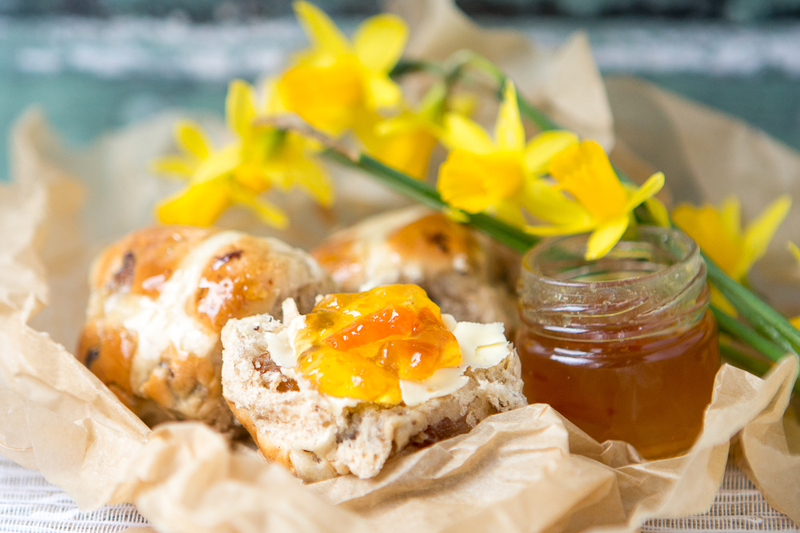 The aim of beautiful food photography is to perfectly balance your light. It is important that your highlights are not too bright and your shadows are not too dark. 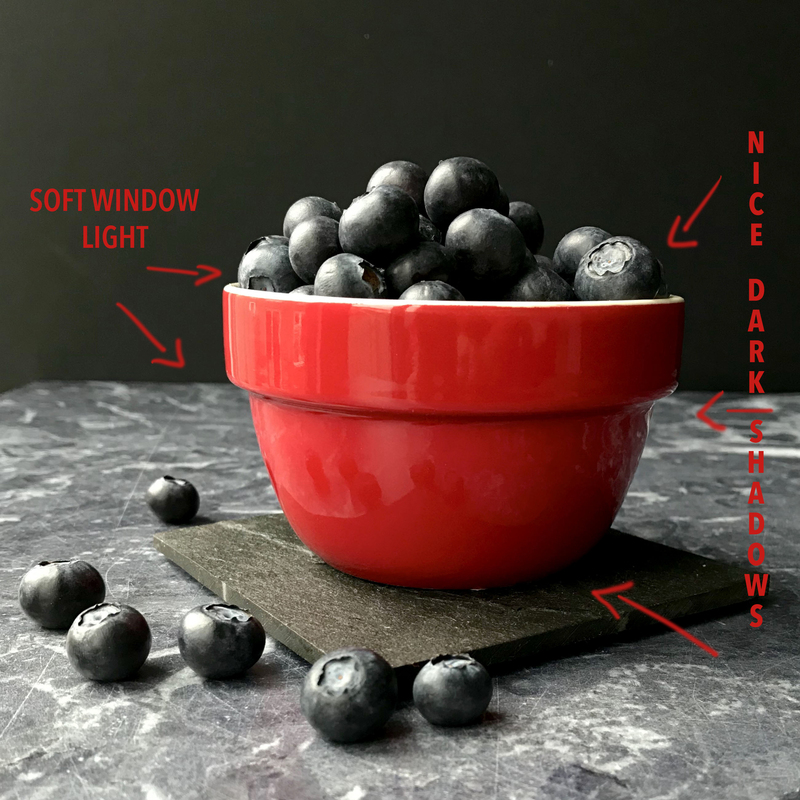 If you find that the day light is pretty bright causing your shadows on the other side of your food to be too dark, you can use a fill card to throw light back into your subject, just to get a bit of detail back into your food. This is literally a piece of white foam board or card, nothing expensive. 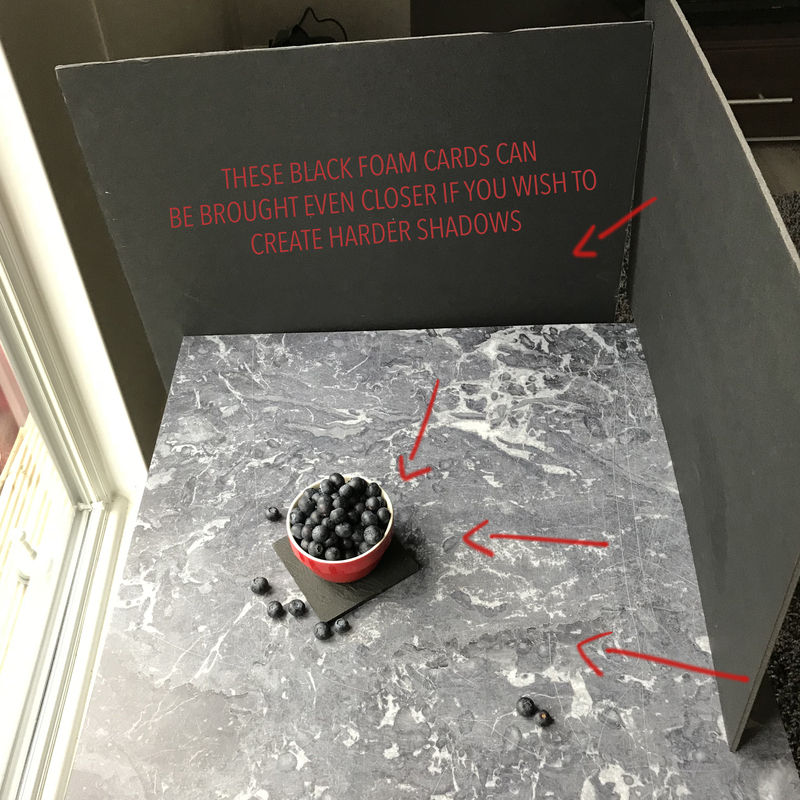 Similarly you may want if your subject is dark and you want to create deeper shadows for a dark moody effect, use a piece of black card as demonstrated in this image. If the sun suddenly (and annoyingly!) 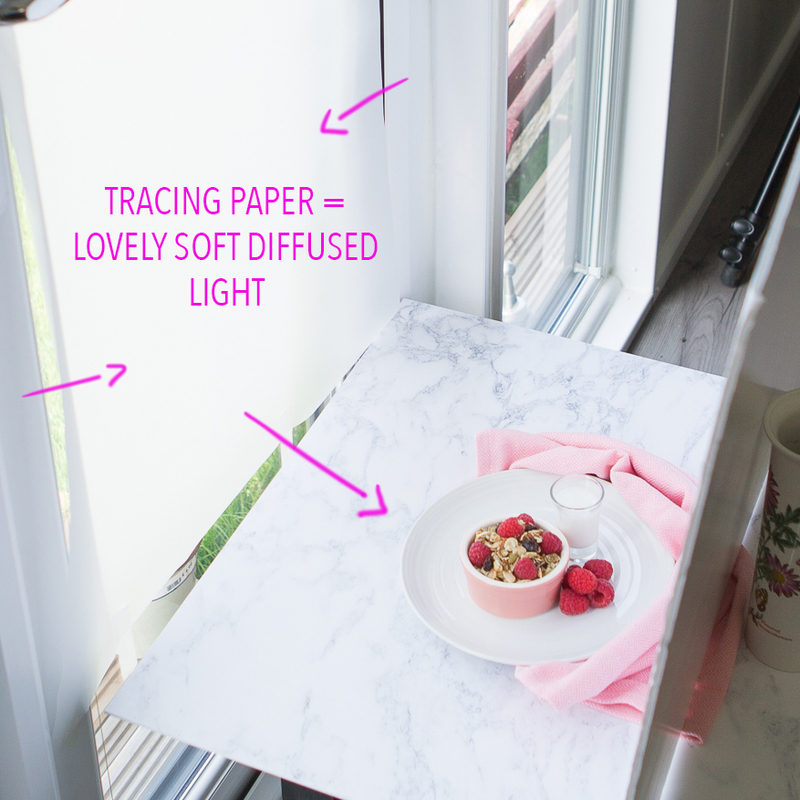 appears mid shoot, then use a translucent or semi transparent white curtain to diffuse the light, or any fabric or semi transparent paper will do the same job. If you’re really keen, you can buy inexpensive diffusion discs that fold up quite small and are therefore easy to store. Alternatively, if you’re caught unawares, try moving the food further away from the window or use a different window on the other side of the house. Make sure to turn off any household lights that will create unnatural colour casts over your image. 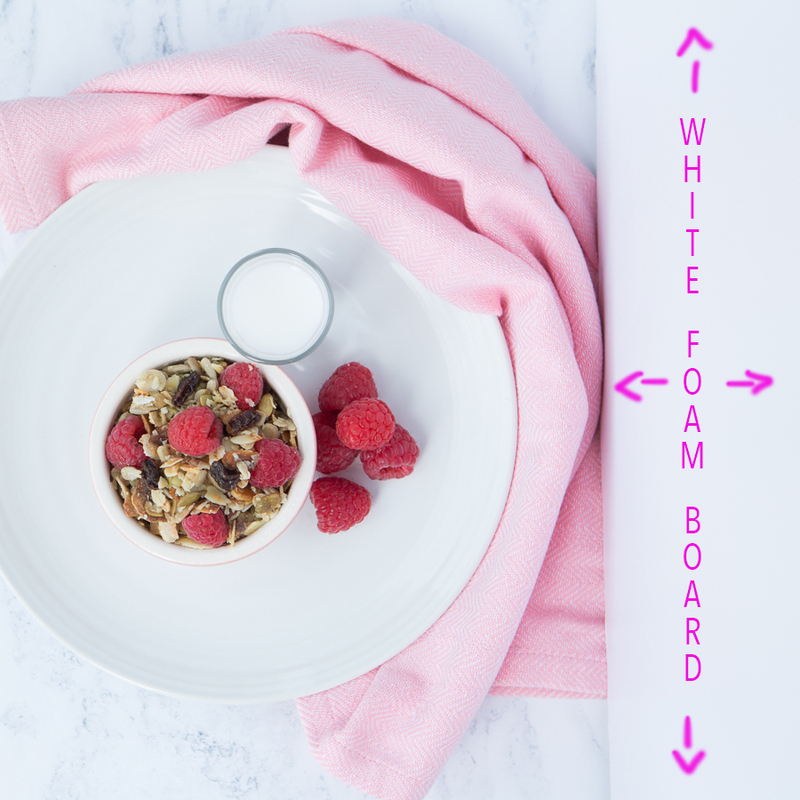 Colour is very important in food photography because they need to be as accurate as possible. Remember that household bulbs are normally Tungsten light, which is more orange. You really don’t want your white plates or white tablecloth looking orange! By contrast, remember that daylight is blue in colour temperature. Similarly do not use the flash under any circumstances. I think we’ve all seen enough images on social media to know that the flash can make even Michelin Star meals look disgusting! 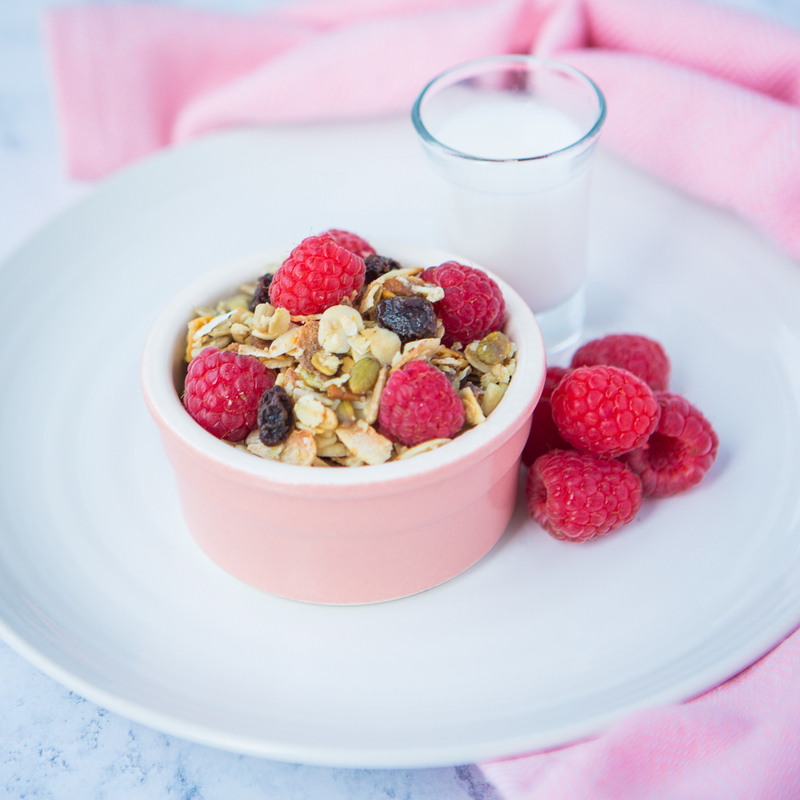 I cannot stress enough how important it is to find a natural light source for your food photography.